Learn about cities with the worst air quality. When you think about air pollution, you probably think about clouds of smoke or soot, or vehicle exhaust, but do you also consider whether you are living in a city with the worst air pollution in the country? That is an important question when it comes to long-term health, which is why it’s so important to understand what pollution means and why it could affect your well-being. You probably based where you chose to live on several factors such as job opportunities, standard of living, weather and proximity to other members of your family. But it’s unlikely that you factored in the level of pollution as one of your major considerations, because the truth is, despite the fact that pollution levels are killing millions throughout the world, the issue has not become as urgent as it should be. And that’s partly because a lot of people believe that as long as they limit the time they spend outdoors, they can avoid the worst aspects of pollution. But the truth is that outdoor pollution has a huge effect on indoor air quality (IAQ), which is why it’s so important to know what cities suffer from the worst air pollution. According to a fact sheet on the University of Kentucky Occupational Health and Safety website, outdoor pollution is one of the major factors that affects IAQ. Per the fact sheet, (1) polluted outdoor air from sources such as vehicle exhaust, pollen and industrial pollutants have a major effect on IAQ. In addition, emissions from sources such as dumpsters, loading docks and factories, as well as soil gas from radon sources and pesticides can also worsen IAQ. And that’s the problem when people try to escape poor outdoor air conditions by believing in error that they are safe at home, an office or in some other enclosed area. Thus, knowing the air pollution levels in some of the biggest cities in the U.S. can provide you with actionable information to help you determine how air quality may be affecting your health or the health of someone in your family. According to an article on Health.com, although the overall outdoor air quality has improved in the U.S., (3) the air is still harmful enough to exacerbate respiratory issues such as asthma, per the American Lung Association. The article ranked the 10 cities in the U.S. with the largest level of particulate matter (PM) per year. PM is a numeric value from a program originally created by the US Environmental Protection Agency to provide values to the public so they could understand possibly dangerous outside air conditions. When levels are too high, newspapers, local radio and television voice warnings to vulnerable people; those with asthma or other respiratory problems where increased activity during these periods of high contaminant levels could impair their health. PM is classified in three levels, PM10, PM2.5 and PM1. Health experts have determined that the most harmful PM values are those at PM2.5, which includes particles 2.5 microns or smaller, which are microscopic, but capable of being swallowed or inhaled. Once these particulates enter a person’s body, they can irritate the lungs and throat and cause respiratory problems. It’s no surprise that so many cities on the worst pollution list are in California, as the state has always had problems with poor air quality. In fact, the Bakersfield area ranks first in the nation in the level of annual particulates as well as 24-hour peak averages. And with a population of more than 18 million, Los Angeles has the highest level of ozone and ranks fourth for yearly level of harmful particulates. What’s clear about many of the cities on this list is that they are in large, urban areas with common sources of pollution such as vehicle exhaust and factory emissions. 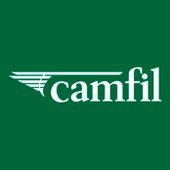 For more than 50 years, Camfil has been waging a battle against outdoor pollution and how it affects IAQ. 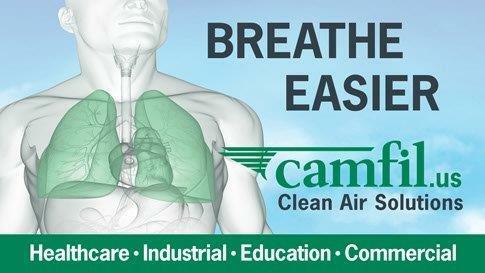 Our commercial air filtration products are designed to help eliminate harmful particulates and to help keep you healthy. Please visit our website for more information about our products.